This redditor just came up with the most DEPRESSING theory about Sansa in "Game of Thrones"
Sansa Stark has been through an unfathomable amount of turmoil throughout Game of Thrones. We were SO excited when she finally reunited with her brother, Jon Snow, a couple of episodes ago, but one redditor has a theory about how things could get bad again for Ms. Stark, and soon. I’ve been think a lot about Sansa this week. Appetite problems with the Watch’s food. She tells Littlefinger that she can “still feel right now” what Ramsay did to her. NOOOOOOOOOOOOOO! Say it ain’t so!!! Some have argued that all of this is just a coincidence. 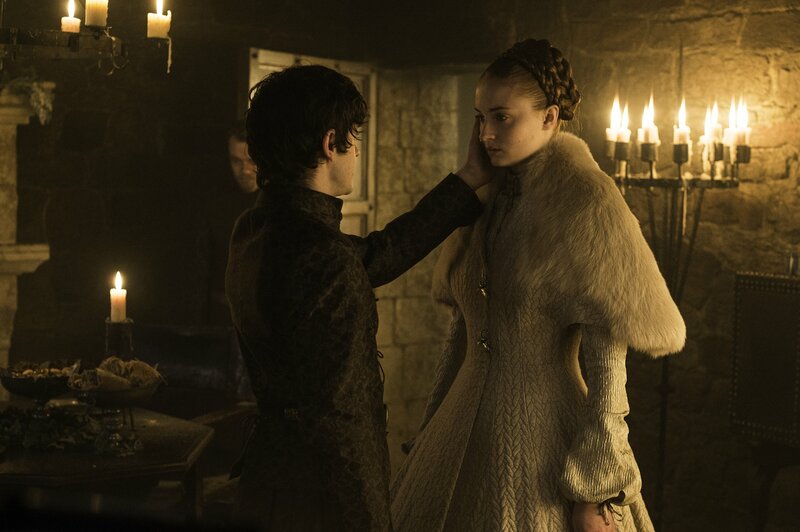 About the dress, Cranky_Pancake says, “I think she wanted new dress to show her Stark heritage and she wanted it black because she never got to mourn for her family.” While jerrythedirewolf notes that Sansa was eating, “She liked the soup and tried the ale. Brienne wasn’t eating that dinner, either.” Also, the food at the Night’s Watch is known for being mediocre at best. Fair, fair. And her comment to Littlefinger? Might not have had anything to do with a baby. One user notes that, even if Sansa is pregnant with Ramsay’s baby, she’s not totally powerless. Some don’t even think that Sansa would carry the baby to term, using “Moon Tea” to induce an abortion. This would be a majorly sad plot twist for Sansa, who has only been away from sociopaths and psychopaths for, like, TWO EPISODES. Can a girl live? We can only hope.